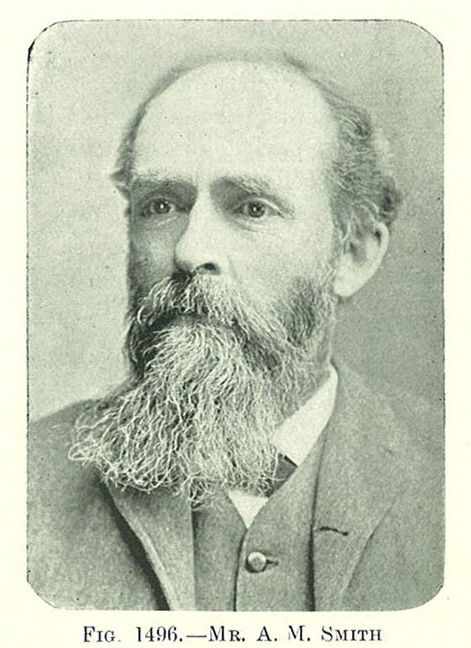 Comments: A. M. Smith (Nee: ) | St. Catharines Ontario Canada | 1851-1900 | Comments: This portrait of Mr. A. M. Smith appears on page 11 of The Canadian Horticulturist, vol.XXII, no.1, January 1899. See that reference for more information. Mr. Smith likely lived in or near St. Catharines, Ontario, Canada. That is all the information I have on him.